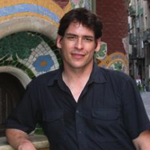 Brian Catlos has been a member of the Religious Studies faculty at CU Boulder since 2010. He is affiliated also with the History Ethnics Studies, Asian Languages and Civilizations, and the Humanities and Jewish Studies Programs. He directs the University of Colorado Mediterranean Studies Group and is also Co-Director of The Mediterranean Seminar, an international forum for scholarly collaboration for developing research and teaching in the field of Mediterranean Studies, and was Co-Director (PI to July 2012) of the University of California Mediterranean Studies Multi-Campus Research Program, based at the University of California Santa Cruz, until July 2015, when that project concluded. He was promoted to the rank of Professor in 2014, and his book, Muslims of Latin Christendom was awarded the Albert Hourani Book Prize by the Middle East Studies Association and the Medieval Academy or America's Charles Homer Haskins Medal, while his Infidel Kings and Unholy Warriorswas given an honorable mention in the PROSE Awards. The Victors and the Vanquished, his first scholarly book won two prizes from the AHA, and his articles have won the Webb Essay Prize, and the Julian Bishko Prize. In May 2015 he was awarded a Boulder Faculty Association Award for Excellence in Research, Scholarly and Creative Work, and in 2015-16 he held his second NEH Faculty Fellowship. In Spring 2017 he was awarded an Award for Excellence in Leadership and Service from the Boulder Faculty Association. His book, Kingdoms of Faith: A New History of Islamic Spain will be published by Basic Books in May 2018, with an audio book, a UK edition, and translations into German, Spanish, Polish, Korean, Simplified Chinese and Complex Chinese out or forthcoming. His next books, Paradoxes of Plurality: Ethno-religious Diversity in the Medieval Mediterranean and Beyond, and a textbook, The Sea in the Middle. The Mediterranean World, 600-1650 (U California; w/ Tom Burman and Mark Meyerson) are expected in 2020. In Fall 2018 Brian taught RLST 3000, Chrisitan Traditions and in Spring 2019 he will teach HUMN3850/RLST3950: Religion Before Modernity, and ARAB/RLST2320: Early Muslim World. Auditors are welcome. Brian is teaching the online version of RLST 3000, Chrisitan Traditions in summer term B of 20198, and a new online version of ARAB/RLST2320: Early Muslim World in Summer A. For more information on courses, see teaching. - Muslims of Medieval Latin Christendom wins the Medieval Academy's Charles Homer Haskins Medal for 2018. - Cambridge UP ninteenfourteen blog.